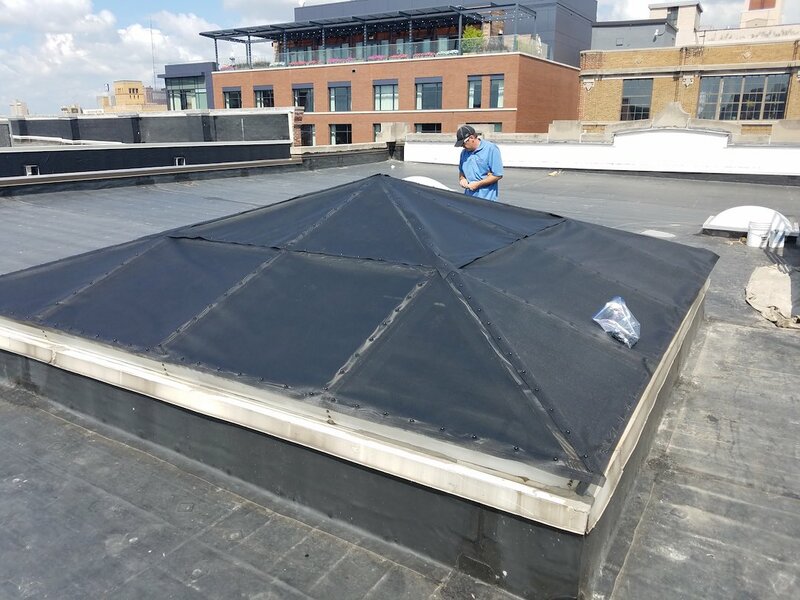 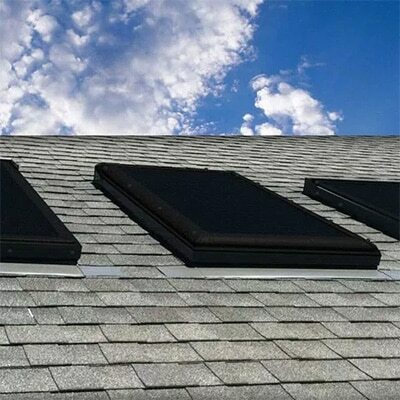 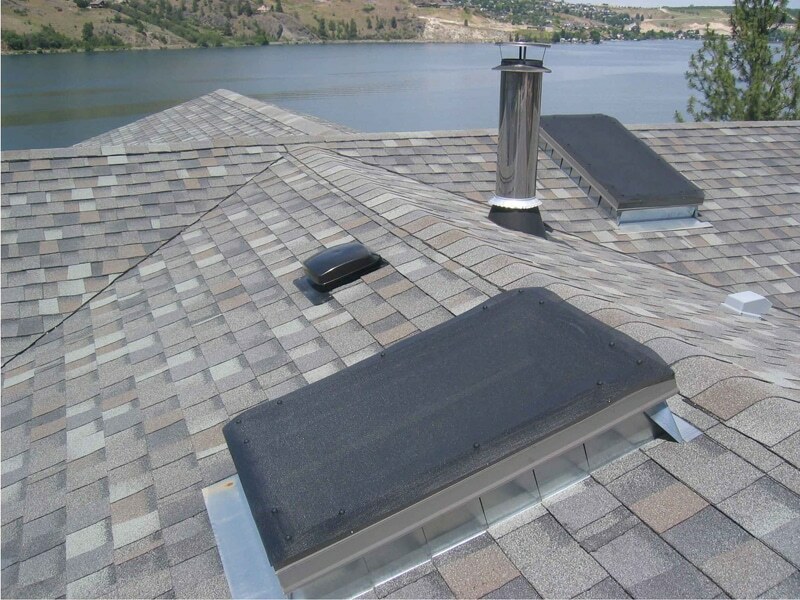 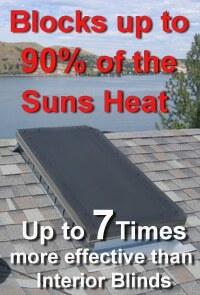 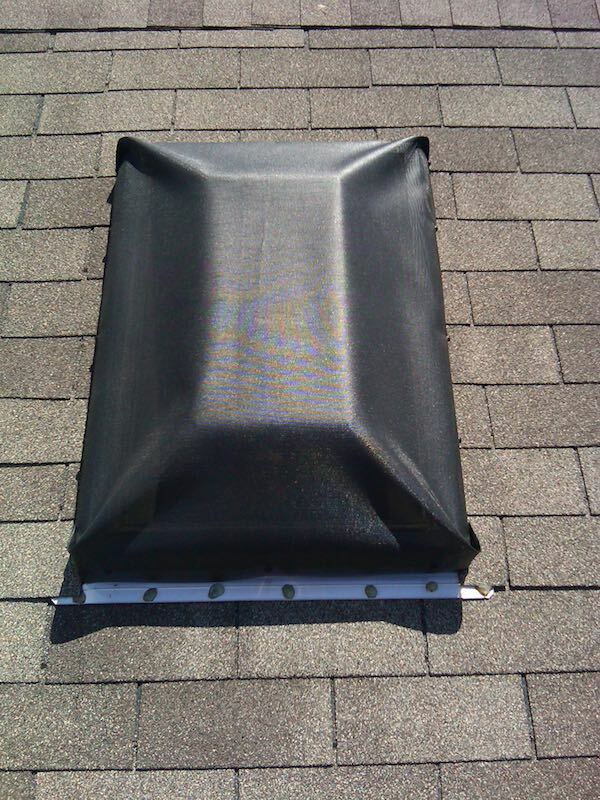 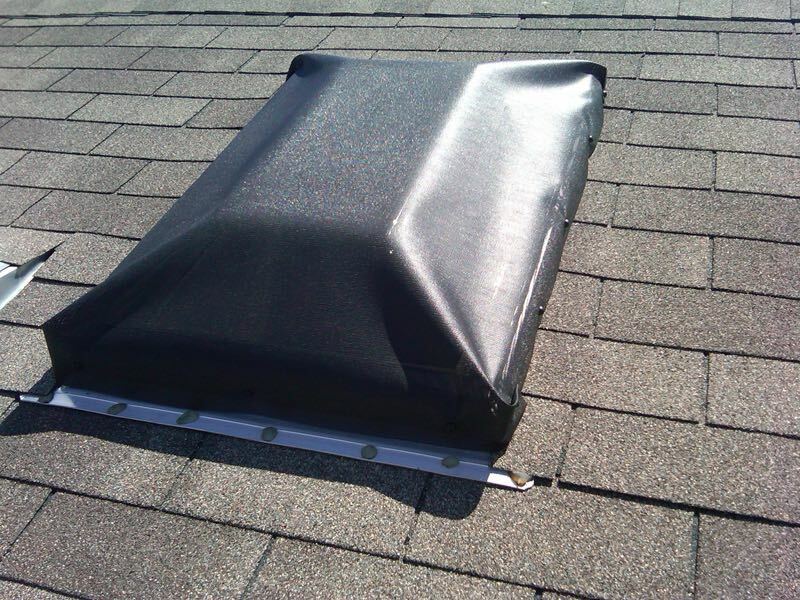 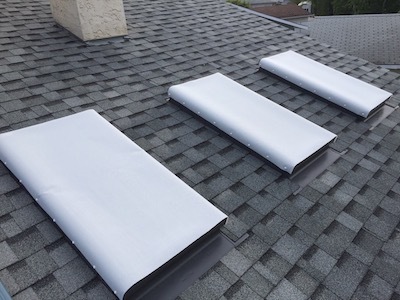 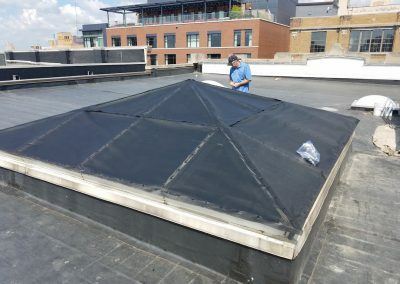 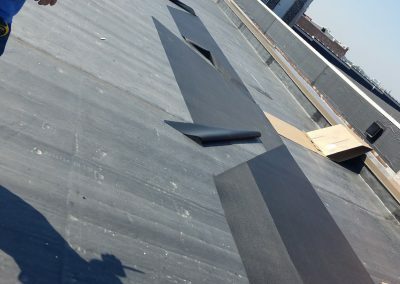 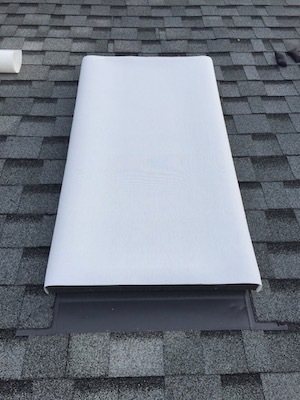 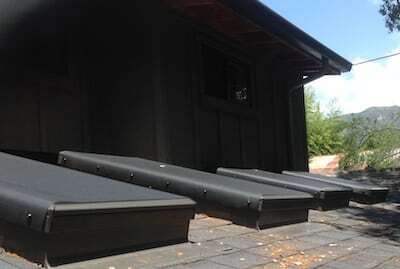 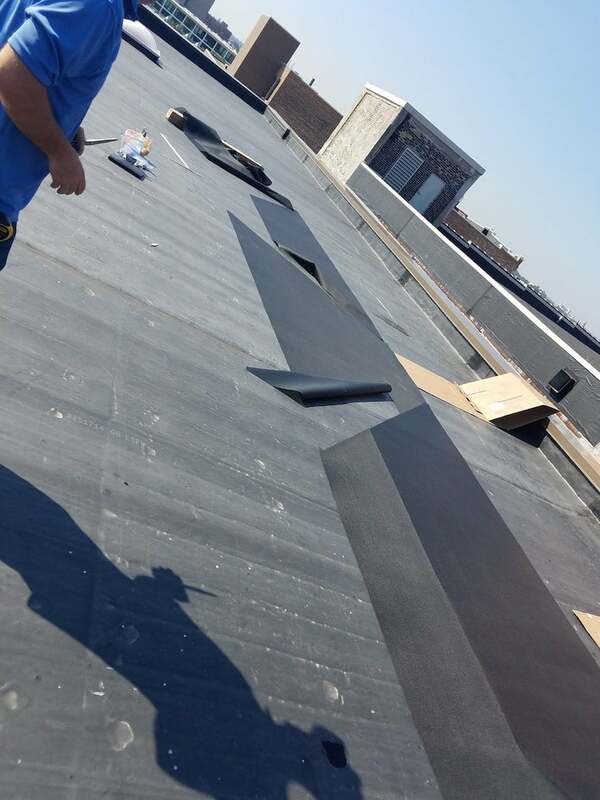 EZ Snap™ shade mesh skylight covers install outside without screws. 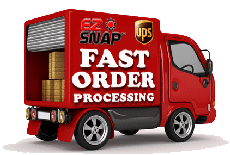 Using the EZ Snap® fastening system, do it yourself and be cool. 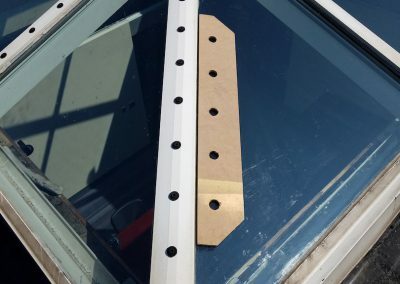 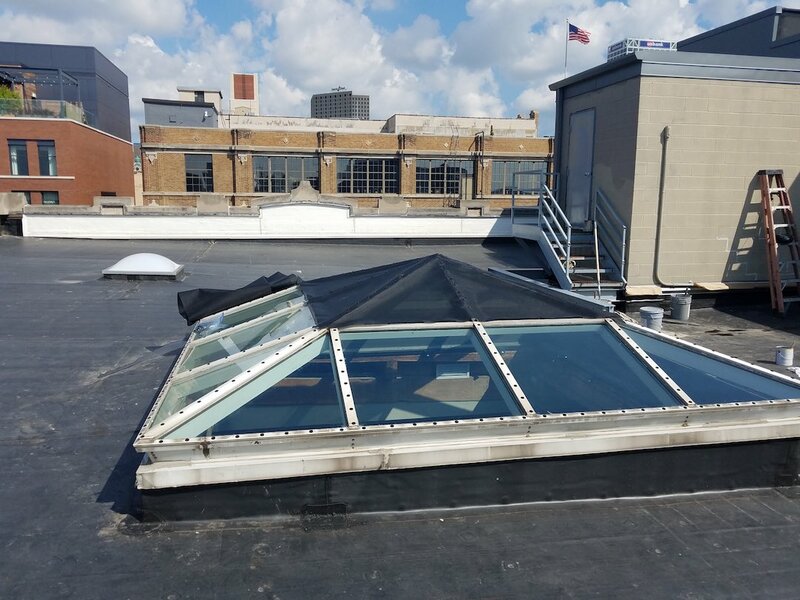 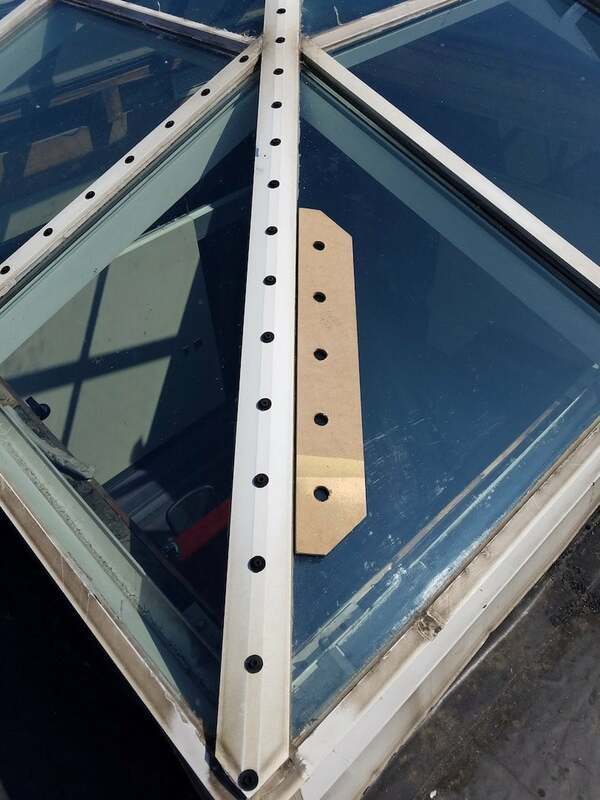 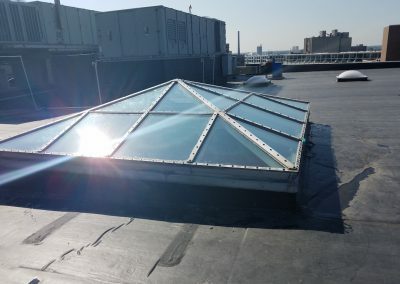 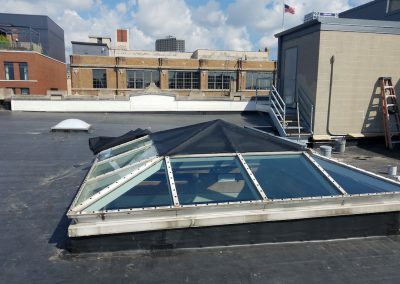 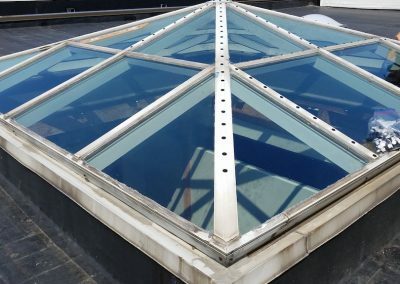 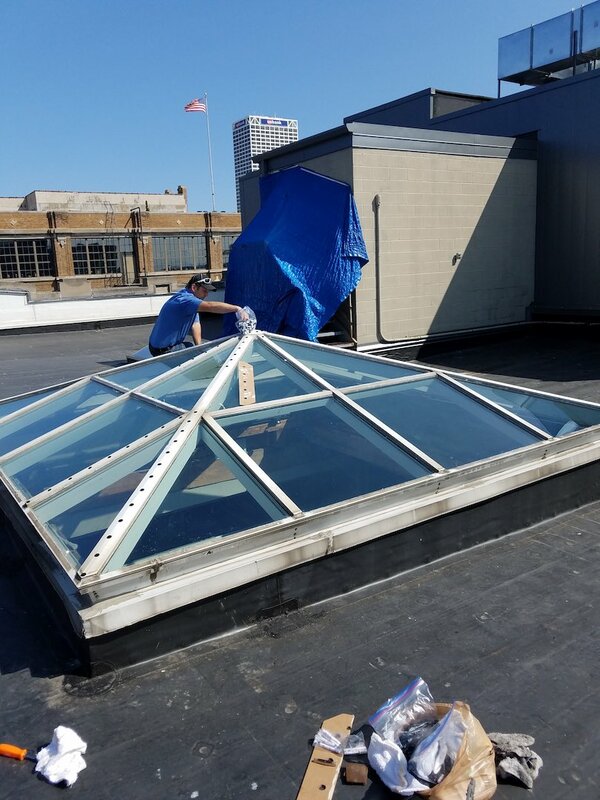 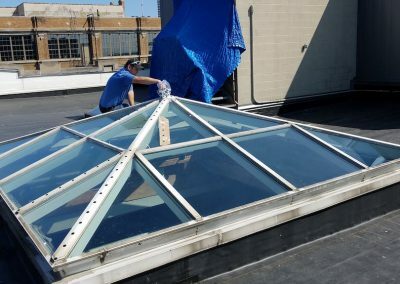 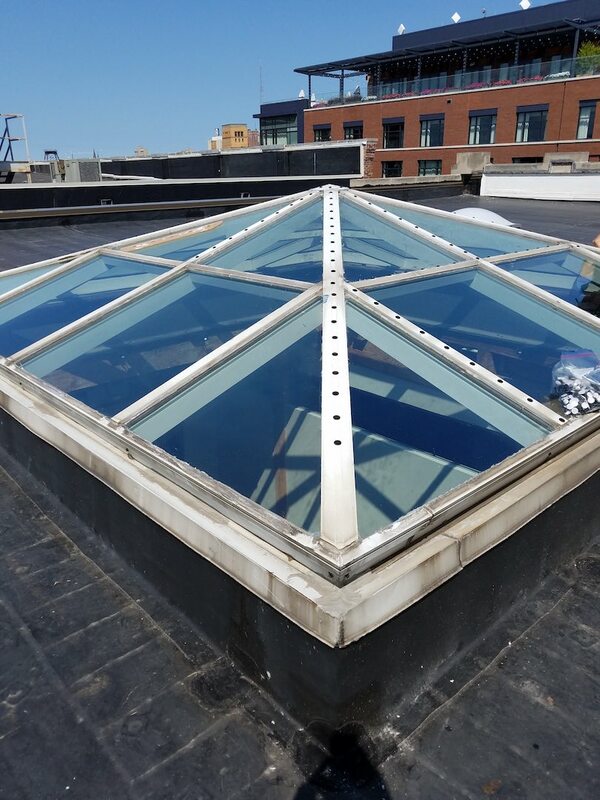 Install skylight solar shades & skylight blinds on all sizes and makes of skylights, including flat glass, domed plastic, cathedral and pyramid shaped skylights. 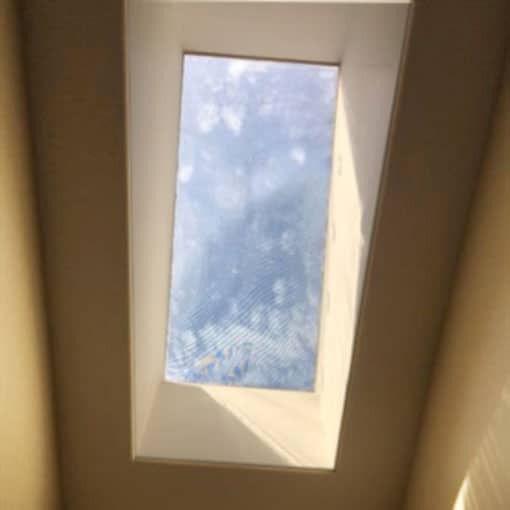 Have a look at the photo gallery, below, to see outside and inside views of our proven skylight shade system in action. 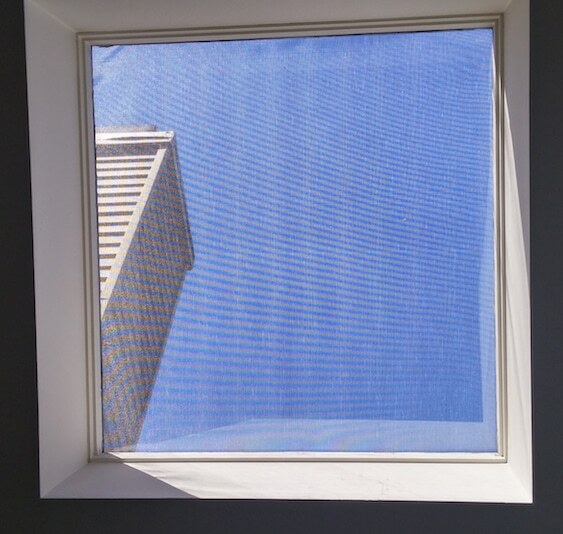 EZ Snap® shade mesh is effective for blocking heat and sunlight glare on commercial buildings too.